Early in his boyhood, it was science, and more specifically medicine, that fascinated Andy Walker. But it wasn't until he almost failed organic chemistry in high school that he had second thoughts about a career as a doctor. Luckily, his friends recruited him to work on the school newspaper Bandersnatch — named after Lewis Carroll's frumious monster — and it was there, in the paper's basement offices, that his natural curiosity fermented into a career in journalism. This led to a Journalism degree at Ryerson University in Toronto and into a career in newspapers. His first jobs included stints at the Canadian Press Wire Service and later at the Toronto Sun, a tabloid metro daily. His early career turned when he covered an air show in Toronto. He flew with Canada's Snowbirds on a press flight and a few days later his pilot crashed into the lake in front of thousands. At 22, he wrote several national exclusives around the story, including the sole interview with the pilot's parents who saw their son perish from the air show stands. Later, Walker worked for Newsworld and CBC's The National where he experienced the fall of the Berlin Wall from a TV newsroom. He went on to work for Southam Magazine Group, and it was here that he found an interest in electronic publishing long before the mass market Internet. After winning a Southam award for his magazine work, Walker left journalism to explore the film business in Vancouver. He worked as a production assistant, set decorator, and publicist. And he dabbled in screenwriting and walk-on acting. At the same time he returned to journalism working as a general assignment reporter at the Vancouver Province, a daily metro newspaper, where he wrote numerous line cover stories, mostly in the crime and police beats. It was technology that steered him back to journalism. At the birth of the consumer Internet, he was hired to produce the first Canadian-sponsored content on the on-line service Prodigy. Then in 1995, he became a key player in putting the Southam newspaper chain on the Web. 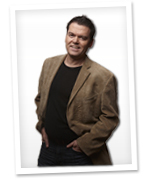 While at Southam New Media he engineered what have become some of the busiest journalism web sites in Canada. He was also a early architect of Canada.com, training the launch team in web technologies and designing and deploying the sites first interactive features. Walker went on to train at MSNBC in Redmond, WA and then was part of the pioneering team that launched MSN.ca's news service between 1997 and 1999. During this remarkable period of Internet history, Andy leveraged his career as a journalist by writing about technology for the Edmonton Journal newspaper. Subsequently, his column "Cyberwalker", a tech advice column was published across the Southam newspaper chain via the Southam Wire. This became Cyberwalker.com, which 10 years later attracts more than three million unique visitors each year. During the dotcom boom, he went on to write technology for some of Canada's most prestigious news outlets including the National Post, the Ottawa Citizen and Fast Forward, the Toronto Star's award-winning technology section. His work was syndicated across the North America and around the world and his has been translated into French, Spanish and Italian. Walker has also appeared as a tech expert on hundreds of TV and radio broadcasts in Canada and the U.S.
On the morning of Sept 11, 2001, he traveled to New York City on an Air Canada flight and from the aircraft witnessed the day the world changed. The aircraft flew by World Trade Center as the first tower burned. After arriving at La Guardia at 9:02 AM, he reported the breaking story live by phone for Toronto's Citytv and continued coverage by phone over a three-day period. In 2002, Walker moved to Berkeley, California to work with publishing pioneer David Bunnell, the founder of PC magazine, PC World, and MacWorld to launch Dig_iT magazine. Between 2004 and 2005, he co-produced and co-hosted the internationally syndicated TV show Call for Help with Leo Laporte. The show airs daily on G4 in the U.S., G4techtv in Canada and on the How-To Channel in Australia. He also hosted Call for Help: Web Gems and Call for Help: My Media in 2006. He also writes for a variety of magazines about consumer technology, including computers, HDTV and the Internet including Show|Extra, Mobile, Royal Wings, In, MoneySense and Eldr. 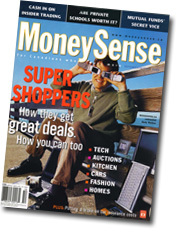 He also appeared on the cover of the Oct 2003 issue of MoneySense. Outside his work career, Walker is the founder of the Little Geeks Foundation which gives Internet-connected computers to underprivileged children and he is an advisor to His Honour David Onley, the Lieutenant Governor of Ontario, on computer literacy issues. Andy's cat Roo became famous when she made a variety of appearances in Andy's how-to segments on Call for Help. She died at the age of 15 in the summer of 2005. The makeup designer on CFH offered him kittens after Roo died and he adopted two: Biff and Boo. The two cats made their debut appearance on Andy's last episode of Call for Help in a demonstration of how a VPN works.